"The diagonal cord of a rectangle makes both that the vertical side and the horizontal side make separately." (Āp. Śl. I. 4) Here is an applet to check the fact using not only the squares on the sides and diagonal of a rectangle (i.e. the sides and the hypotenuse of a right triangle), but also with other regular polygons and semicircles. To change the dimensions of the rectangle, drag the Red colored point. 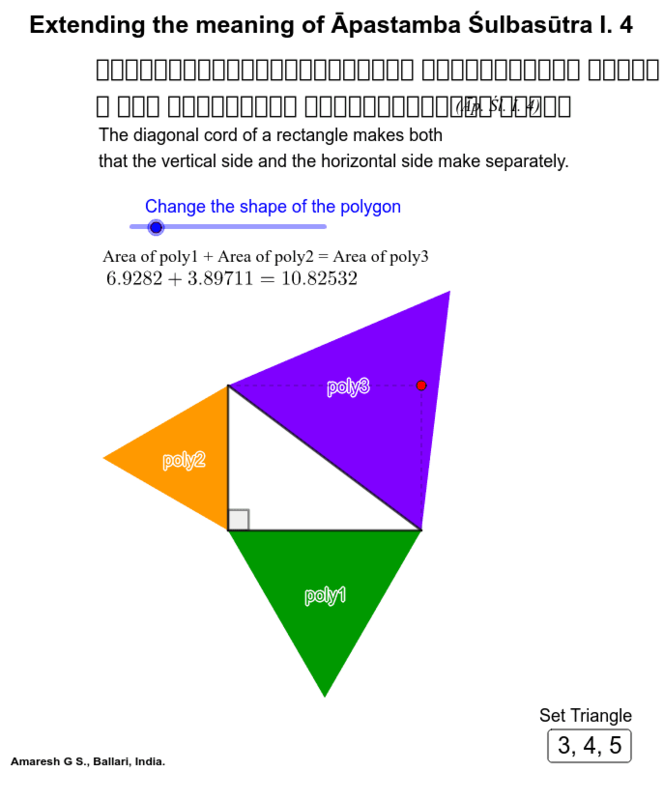 You can change the number of sides of the regular polygons (also to semicircles) drawn on the sides and the diagonal of the rectangle with help of the slider provided.